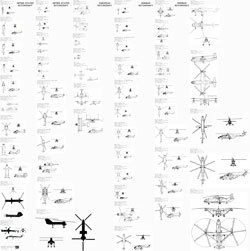 I have assembled many Rotorcraft 3-view drawings from public sources and scaled them into one big poster drawing (40"x40"). The sources come from various internet sites. 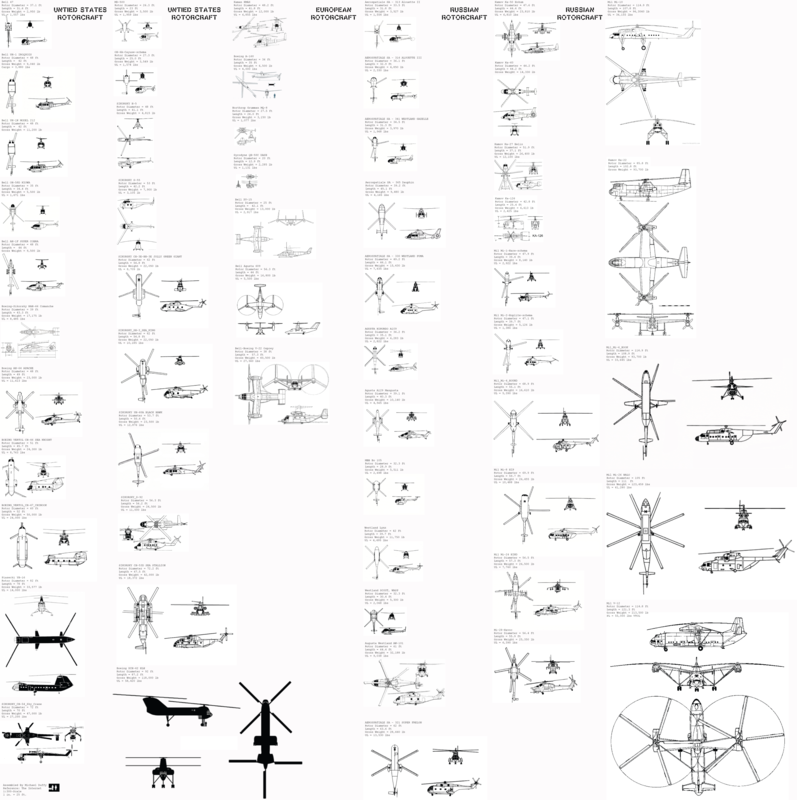 This drawing can be used as a reference for future Rotorcraft designers.